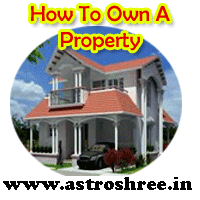 How to own a property, Is there any chances of property, how to know profit from property business, planets representing property, Astrology for owning a property, Best tips to gain from property. Investment in property is the best way to secure our money because the rate of property increases day by day. Because of this reason people want to buy property. But unfortunately some are not able to buy property for their own use. Some professionals faces heavy loss in property, Some enter in debt after buying any property. Why this happens is a question in every one's mind. So it is very necessary to know about whether there is a chance to buy property in life whether there is a chance to gain from property business, What is the right time to buy a property? The answers of all above questions are given in astrology. By minute study of horoscope we can know that property or land will be beneficial for us or not. Now i am providing some knowledge about how to know that our horoscope supports property. There are 2 important planets which represents property. Mars and Saturn are the planets which are studied in horoscope analysis mainly to know about property. 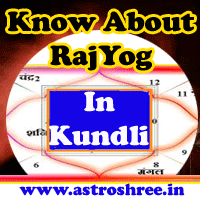 4th house, 2nd house, 9th house, 10th and 11th houses are also studied to know about property in life. If positive Mars is supporting the 4th house of horoscope then the person will enjoy the property. If The master of 4th house is positive and if Mars or Saturn is making any good relationship with it then also there is a great chance of getting property. If the positive Mars is supporting the profit place then also gain from property business is known. If Saturn is supporting the profit place then also income from land is predicted. If Income place is supported by Saturn and Mars then the person will make career in property business. Mars and Saturn if sit together then it generate malefic impacts in life. Malefic Saturn may arise loss from property or land. Negative Mars may arise problems from land. Weak Mars and Saturn also deprive a person from property. If Mars and Saturn are creating problem in life then it is good to donate things of Saturn and Mars time to time to get benefit. The worship of Kshetrapaal is very good to stop loss from any land. Special shanti process of planets will also very helpful. The worship of supportive god and goddess will also open way to gain profit from property. Special property gaining pooja is also very good. So if you are facing any problem through property, if you are facing any problem from land, if you are not able to own a property then consult astrologer for your problems. Get perfect solutions of property problems. Get success in property business, Get income from property business.